Associate Professor of Management Information Systems Dr. Lakisha Simmons read about period poverty in a national magazine, prompting her to ask several of her friends who work in Nashville schools about the issue. That conversation sparked a much larger discussion surrounding the significant challenge that some girls in Metro Nashville Public Schools (MNPS) have accessing essential products. After more research, Simmons learned that 43% of the students in MNPS are economically disadvantaged, and there are 11 middle and high schools on the district’s priority list. Throughout these schools, girls are missing upwards of a week of school each month because they do not have access to period protection products. That was all Simmons needed to hear — and The Nashville Period Project was born. 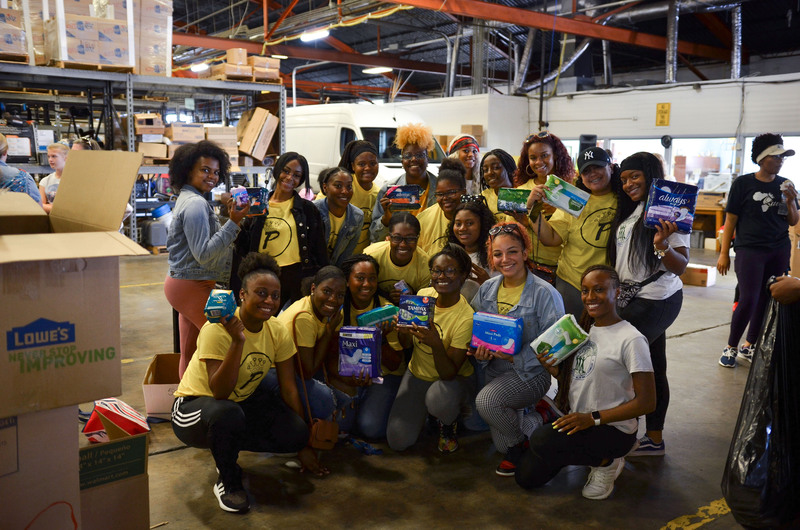 Through her nonprofit, The Achiever Academy, Simmons set out to host a collection throughout the month of September and invited Nashvillians to get involved by donating period products to Metro students. Together, in just four weeks, the group collected more than 200,000 items.